I was introduced to Roots of Orchis by Woody’s good friend Sean. Crooked Ceilings is not album I was introduced to, it was The Red House in Winter, which I’ll get to later. I liked Red House so much I tried to find all the Roots of Orchis stuff out there, which actually was quite hard, since they seem to be a band with a small footprint. Since they are a San Francisco band, I figured the SF Amoeba would have their albums, but it really didn’t. I had to order most of them used from Amazon. It seems ROO is evolving from a more traditional sounding instrumental band (Red House) to a very atmospheric post-rock sound. They’re still keeping some real drums and other more traditional rock instruments in the mix, but are sounding much more electronic now; even the beats they play on the real drums are electronic influenced. Despite my love of Red House, I am enjoying that evolution! 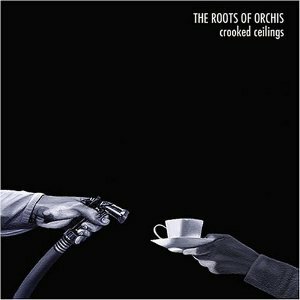 Crooked Ceilings has 2 discs – one regular album and one remix album. Listening to them back to back on iTunes makes for one long, pleasant groove.